"State government has to submit its performance report every two months to the Prime Minister’s Office"
Arunachal Pradesh CM, Pema Khandu announces to phase out old Assam-type buildings. Image: Northeast Now. Arunachal Pradesh Chief Minister Pema Khandu on Wednesday informed that his government would reconstruct and refurbish old Assam-type buildings of schools, hospitals and all government offices that were constructed during the Union Territory days. Khandu said the old Assam-type buildings constructed during the UT days that had outlived its usefulness would be reconstructed in phase-wise across the state. 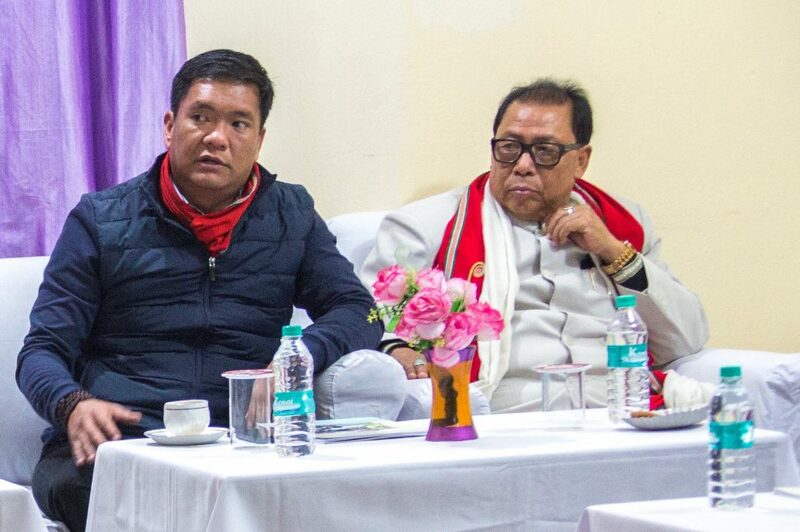 The CM further appealed the government officers to begin making corrective steps for a better Arunachal Pradesh and cautioned that the state else would not be able to come out from the rule of muscle power and money power. “Today’s youths are frustrated with the ways things are in the government and seek to see change and desire the government to cleanse the system. The onus lies on the people who are in the position today – to bring changes and to give back to the society,” he said. Politicians are only policy makers but the real ground level implementation of government programmes and policies had to be executed by the government officers and hence the greater responsibilities, the chief minister added. Khandu further said he was in constant touch with the public through social, SMS and WhatsApp and received information through them about the lack of sincerity on the part of government officers and their regular absentee from office. “Times have changed and thinks are not like as it used to be earlier. We cannot sit idle and the state government has to submit its performance report every two months to the Prime Minister’s Office,” said the CM. Khandu further said the state government was always sympathetic to the cause of its government employees and had accordingly implemented the 7th Central Pay Commission, increased the retirement age, implemented the tough location allowances and increased the monthly wages of its workers.